Aliens may be hearing us. Or, vice versa, we may be hearing aliens. So says Edward Snowden in his fresh interview in New York. But how did he ever get there? Edward Snowden has just visited New York to talk about aliens. Sounds weird, doesn’t it? But it’s absolutely true. The famous US government whistleblower was physically present in Moscow, while a telepresence robot under his full remote control was transmitting his image and voice live via a video link all the way across the ocean to North America. He was talking to prominent US astrophysicist Neil deGrasse Tyson for his StarTalk podcast on Friday night. 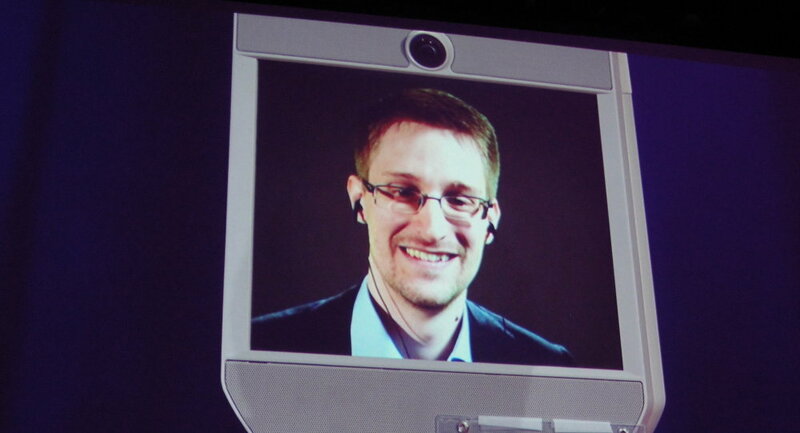 Usually, Snowden has a number of things to say about different people but this time the conversation turned to aliens. It seems, the famous whistleblower took his time to think about extraterrestrial life during his long stay in Russia. The challenge of listening in on people nowadays is the same one as hearing aliens, apparently – the need to break through encryption. And one may never intercept a signal which he or she doesn’t know has been encrypted. “So if you have an alien civilization trying to listen for other civilizations, or our civilization trying to listen for aliens, there's only one small period in the development of their society when all of their communication will be sent via the most primitive and most unprotected means,” Snowden noted. Tyson, the host of the podcast, then said that extraterrestrials should have the same security issues as earthmen and might require protection for their communications from alien governments. Snowden believes aliens could have a more sophisticated political system than his fellow earthians. Perhaps he believes, one that wouldn’t persecute a whistleblower for revealing spying activities perpetrated by his government.